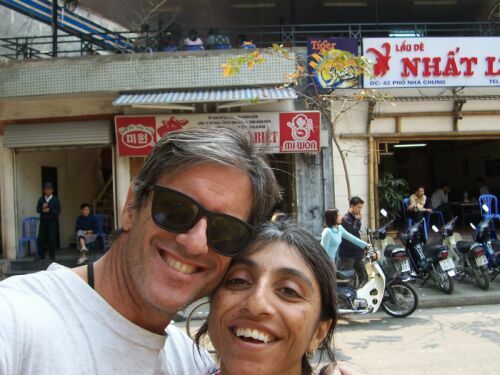 We took a jet from Saigon to Hanoi, where we had a 4 hour layover before our plane for Taiwan. We hiked out to see the environs of the airport and found ourselves in a rice field by the runway. 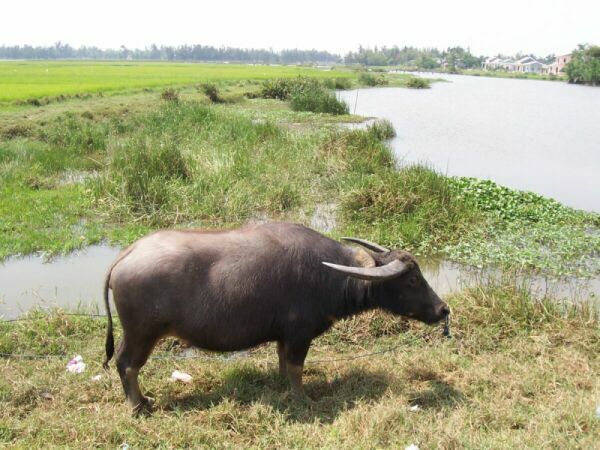 There was a small village across the road from the airport where we found these guys. They were ironworkers and were, incredibly, arc-welding without a face-mask or goggles. They seemed very poor, but still they dropped everything when they saw us walking down their alley and insisted that we come into their home and have tea. 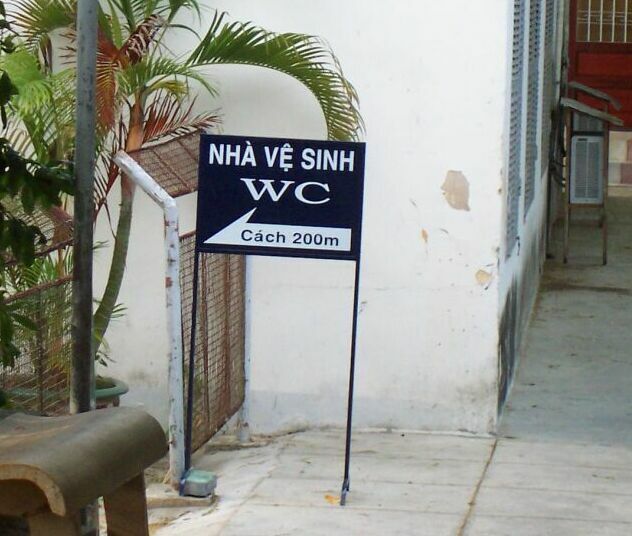 Such is the hospitality of the Vietnamese. It was time for us to head home. 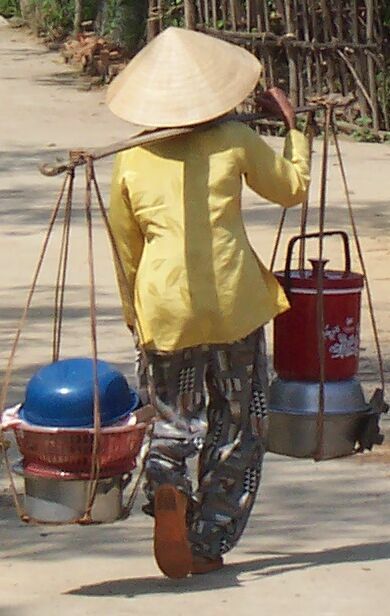 A woman walking in Thanh Ha village. 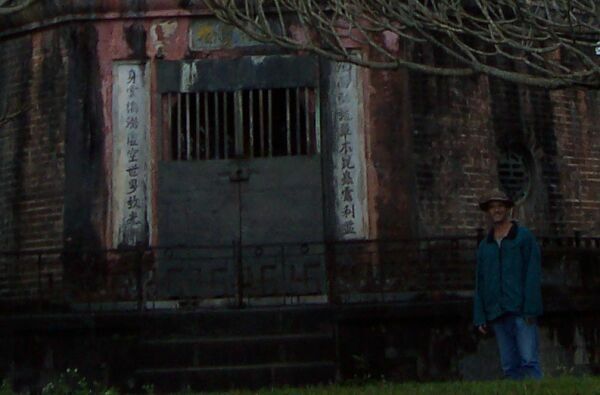 The Thien Mu pagoda near Hue. 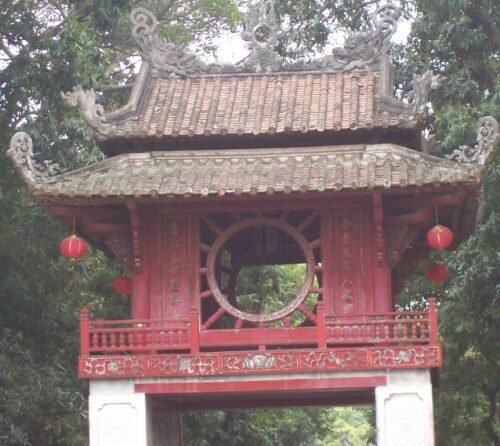 The Temple of Literature, Hanoi. The Oceanographic Institute, Nha Trang. We found our way, on foot and bicycle, off the tourist track and into the agricultural heart of the country. An excellent trip overall. 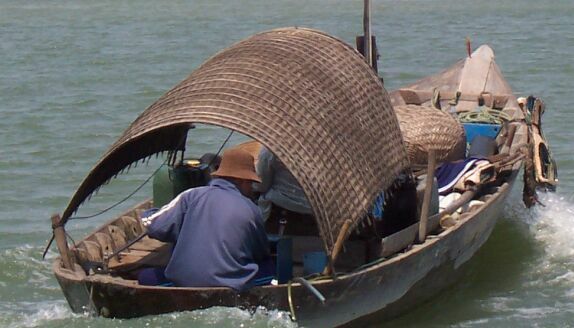 I'd recommend Vietnam as a travel destination for anyone. Adios, Vietnam. I hope we make it back someday.